Rust-Oleum CombiColor Multi-Surface Paint is a solvent-based, adhesive primer and topcoat in one based on Alkyd binder. Rust-Oleum CombiColor Multi-Surface coating is a solvent based primer and topcoat in one, based on a modified Alkyd binder, providing good adhesion to many types of substrates and is lead and chromate free. 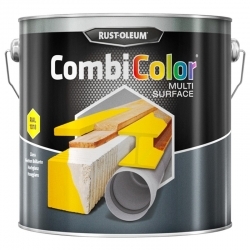 Rust-Oleum CombiColor Multi-Surface can be applied on many different substrates like wood, metal*, mdf, masonry, tiles, most plastics, glass, old concrete and more. We advise to do a small adhesion test prior to the application of the full surface. CombiColor Multi-Surface is intended for brush and roller application. For metal structures in a more aggressive industrial environment we advise CombiColor Original in combination with Rust-Oleum CombiPrimer Anti-Corrosion 3369/3380. Remove oil, grease and all other surface contaminations by alkaline cleaning in combination with appropriate detergents (e.g. 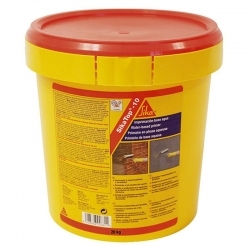 Rust-Oleum Mathys ND14 Cleaner Degreaser). Remove rust scale, loose mill scale, loose rust and loose coatings by scraping, wire brushing or sanding. Sand intact coatings to roughen the surface slightly. Test before application the compatibility with the old coating. The surface must be clean and dry during application. New galvanised (bright aluminium-like finish), Zinc and Aluminium (new and old) surfaces have to be primed first with Rust-Oleum 3302 CombiPrimer Adhesion. Aged galvanized (matt grey appearance, showing white rust) should first be cleaned with an acid cleaner (e.g. Rust-Oleum Mathys 108 Surfa Etch Solution) in combination with Scotch-Brite. Very porous surfaces should be sealed prior to application of Rust-Oleum CombiColor Multi-Surface. * For further information about application to galvanised steel and non-ferrous metals as well as a full overview of suitable substrates and application tips, please consult the Product Datasheet. Do you have a paint that would paint a static caravan it's not the metal type it's like cladding. Not quite sure of the surface you're trying to paint here but Rust-Oleum CombiColor Multi-Surface would be a good place to start. Carry out a test area if unsure to ensure adhesion, appearance, etc. Is the rust oleum multi surface be ok to paint tiles in a shower? Rust-Oleum CombiColor Multi-Surface is OK to be applied to tiles but not in a shower area where it will be in contact with water from the shower. 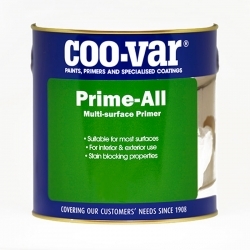 Can I use this to recoat Promain multisurface paint applied to my metal gates 5 years ago? We are not familiar with the specific product you have mentioned but if your gates are metal and need recoating we would suggest the original version of Rust-Oleum CombiColor rather than the Multi-Surface version. 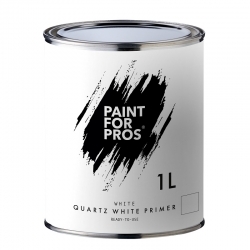 Assuming the existing paint is sound and well adhered you should just be able to clean down, lightly sand and apply 2 coats of Rust-Oleum CombiColor in the desired colour and finish. The only product we recommend for worktops is Rust-Oleum Worktop Transformation Kit. 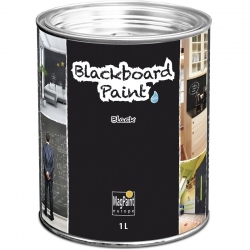 To create a Chalkboard surface we would instead recommend Rust-Oleum Chalkboard Paint (Brush) which is available in 5 different colours. No, we would instead recommend Rust-Oleum Worktop Transformation Kit. Yes (as long as it isn't to be applied to worktops), sanding down would be ideal, ensure the surface is then dust and grease free. After cleaning Rust-Oleum CombiColor Multi-Surface can be applied directly to wall tiles as long as they are not subjected to frequent/heavy water contact (i.e. in a shower enclosure). Hi. Can I think this paint down, if so what thinners do you recommend. 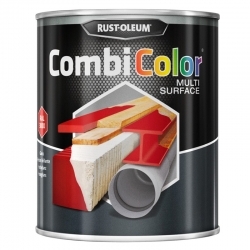 Rust-Oleum CombiColor Multi-Surface should be applied by brush or roller and thinning is generally not required, for cleanup use Rust-Oleum Thinner 160. We're not sure what you mean by 'hot services' but if you're looking for a heat resistant paint for areas of BBQ/Fire Pits that don't come in direct contact with food or flames you should instead consider Rust-Oleum Heat Resistant Paint 750°C. Can i use this on melamine type covered wood wardrobes? Yes, Rust-Oleum CombiColor Multi-Surface can be applied to uPVC surface but surfaces to be painted must first be cleaned down with a 5% solution of Rust-Oleum Mathys ND14 Cleaner Degreaser followed by a solvent wipe with Methylated Spirits. No, Rust-Oleum CombiColor Multi-Surface must not be used for either of these applications. 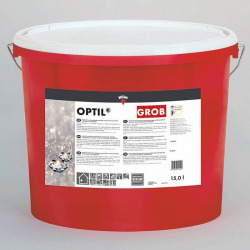 For worktops we have Rust-Oleum Worktop Transformation Kit and for sinks we have Rust-Oleum Tub & Tile Refinishing Kit. Can this product be sprayed on using a spray gun? No, this product is only recommended for application by brush or roller. The Zinsser AllCoat Exterior (Water Based) range can be applied by spray as well as brush and roller. Normally, the Rust-Oleum Chalky Finish Furniture Paint can be applied directly to various different substrates, including most existing paints. So assuming the CombiColor Multi Surface was in good condition, clean, dry and well adhered to the underlying substrate, then yes this should be possible. Question: Is this paint safe for toys is non toxic? Rust-Oleum CombiColor Multi-Surface has not been tested for such use. We believe that any paints used for toys or childrens play equipment has to be tested and approved to EN71. As CombiColor Multi Surface is intended primarily as an industrial coating, it has not been submitted for such approval. Question: Can this product be used inside as long as there is adequate ventilation? 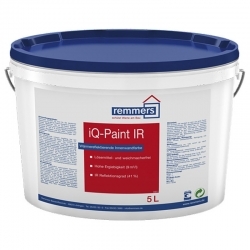 Remmers iQ-Top is a climate regulating render with pronounced, high adsorption and release of humidity. 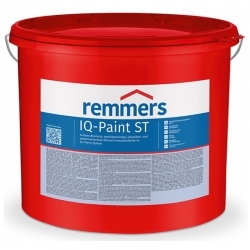 Remmers iQ-Top is a reinforcement and finishing render in the iQ-Therm System. 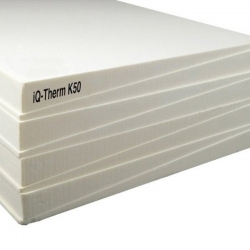 Used as a two-layer sorption and installation layer for bedding iQ-Tex in a layer from 10-15mm thick. 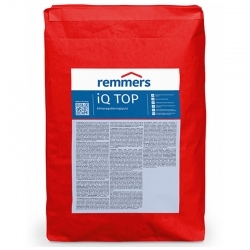 Remmers iQ-Therm K50 is a wedge-shaped, interior insulation panel for connecting areas (wall and ceiling connections) in the iQ-Therm System. 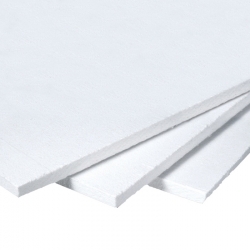 A wedgeshaped interior insulation panel for thermal insulation on building elements such as ceilings and interior walls that connect to exterior walls.